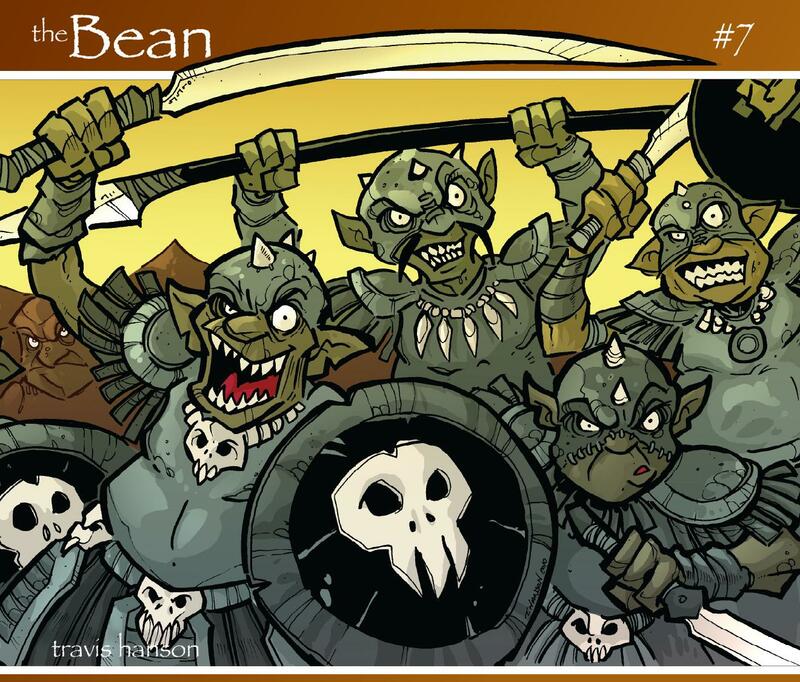 Original issue 7 of the Eisner nominated series the bean. This is one of the original comic books . There were 8 issues printed and are a bit of a rarity - I have a few issues left of some of the other books. These comic books will not be reprinted in this form due to them being now sold as the graphic novel. Plot The goblins march forward towards Heartleaf. This is the seventh comic book of the series. The books are now combined into the much bigger books that are on the site.